Sister Joanne Jaruko Doi, M.M. Sister Járuko Doi was named co-formator of the Maryknoll Sister in-charge of formation of the women who are to begin their life in becoming Maryknoll Sisters. She has lived a very rich and varied mission experience with solid theological and professional preparations that will serve her well in mentoring the future Maryknoll Sisters. Sister Járuko entered Maryknoll on August 22, 1981 from the parish of St. Francis Xavier in Los Angeles, California. 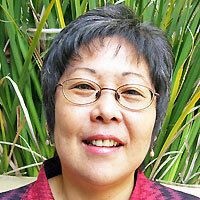 She is Japanese American, born and raised in California by parents who were interned during World War II. Her father and grandfather were interned at Manzanar, a US internment camp in California and her mother was interned at the camp in Heart Mountain, Wyoming. Sister Járuko came to Maryknoll with a bachelor’s degree in Environmental Planning and Management from the University of California at Davis. She was assigned to the Peru-Ecuador region in September 1983 and studied Spanish at the Maryknoll Language Institute in Cochabamba, Bolivia. In 1984, Sister Járuko was missioned to the Aymara indigenous people of the southern Andes (Altiplano) of Puno and Chinchera, Peru at 12, 500 ft. above sea level. Sister Járuko did Pastoral work and introduced economic development projects to the people. With other groups in the diocese and Aymara artists, Sister Járuko developed a grassroots silk-screening studio, a response to the need for popular education material representative of the Andean and rural environment. In September, 2005 Sister Járuko received the GTU Scholar Award. Sister Járuko went on for further study at the Graduate Theological Union for a Ph.D. in Interdisciplinary Studies which she received in 2007. Her Dissertation: “Bridge to Compassion: Theological Pilgrimage to Tule Lake and Manzanar” earned her the Outstanding Dissertation Proposal Award 2004-2005. In January 2012, Sister Járuko was assigned to the Formation House of the Maryknoll Sisters in Chicago, Illinois.